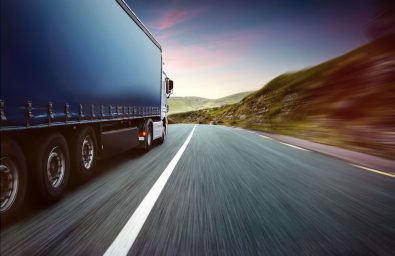 Improve Fleet Fuel Efficiency | TPL Trakker Ltd.
For one leading multi-national consumer goods company, success and revenue were negatively impacted due to an overburdened fuel cost, inefficient routing and increased overhead costs. Aggressive driving (such as speeding, rapid acceleration, and braking) can lower fuel economy by 33% at highway speeds and by 5% on city streets. You can save fuel by holding drivers accountable to observe speed limits and avoid harsh stop-and-go driving. The number of vehicle miles travelled is one area where companies typically have limited, if any, control. Other than monitoring and enforcing personal use policies, companies are not privy to day-to-day business purpose data or have the tools to measure the reasonableness and justification for such use. Still, unnecessary trips with little business justification occur and such events drive up vehicle operating costs. Repairing a vehicle’s engine when it is noticeably out of tune can improve its fuel mileage by an average of 4%, depending on the issue repaired. For more serious maintenance problems that directly impact fuel consumption, such as a faulty oxygen sensor, the repair can improve a vehicle’s mileage by an astounding 40%. TPL Trakker came up with a solution combining cutting edge technology with real world practicality. We provided a live Data Feed Dashboard to monitor driving efficiency, telematics solutions and maintenance alerts. TPL Trakker configured the system to report back to dispatch if idle minutes exceeded a minimum threshold or if vehicles were used off-hour or out-of-bounds. The system also sent an alert to dispatch if the driver exceeded certain speed thresholds that affect fuel economy. The same holds true for hard braking. TPL Trakker designed a dashboard for live alerts; when a vehicle’s engine is due for service to ensure that efficiencies are maintained. Fuel is a necessity for your business & TPL Trakker can help you increase vehicle/truck fuel efficiency by identifying where in your fleet there is room for improvement. Once you know where fuel is slipping through the cracks, you can take steps to reduce your fuel costs, thereby improving your bottom line.